Waxing is one of the most uncomfortable procedures we endure for beauty, and if you’re using the wrong formula, the process is nearly unbearable for everyone involved. 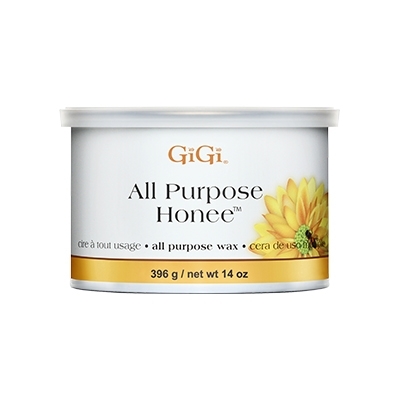 Gigi All-Purpose Honee Wax has perfected the process to become the standard by which all other waxes are measured. Arguably the best waxing formula on the market, GiGi Honee Wax uses only the highest-quality ingredients for your skin. The top-notch, high-quality waxing recipe has been leading the industry for years. Beeswax, the primary ingredient, is rich in Vitamin A to help with cell regeneration and skin hydration. This makes Gigi hair removal wax ideal for all parts of the body. It’s safe to use on eyebrows, the upper lip area, legs, underarms and even the bikini area. Try out Gigi body wax for minimal pain for your clients.